Too many people with common mental health problems, such as depression or anxiety, do not recover after receiving talking therapy. People usually receive cognitive behavioural therapy (CBT), delivered by Improving Access to Psychological Therapy (IAPT) services, also called psychological well-being services. Some people who do not get better can experience more severe forms of common mental health problems including psychotic experiences such as paranoia or hearing voices. About one-in-five people in the UK using IAPT services have some psychotic experiences, often after traumatic events. Currently, IAPT services do not support these people particularly well. In some cases, they are referred to specialist ‘early-intervention’ psychosis services. These specialist services tend to focus on psychotic experiences and the risk of people developing more severe mental health conditions such as schizophrenia. This is despite the fact that the vast majority of people who have psychotic experiences do not develop schizophrenia. In addition, such services do not usually address the depression, anxiety, and other problems that often affect this group of people. The University of Cambridge and Cambridge and Peterborough NHS Foundation Trust have received funding from the National Institute for Health Research for a five-year study. The study will involve the use of a brief questionnaire to help identify people using IAPT services with psychotic experiences. The study aims to use research evidence and the views shared by service-users and IAPT therapists to design a new therapy for these people which can be delivered by trained IAPT therapists. It is hoped that this work will help IAPT service-users and support IAPT services. For people experiencing a common mental health problem as well as psychosis, neither IAPT services nor early intervention services can fully meet their needs. This study will develop a form of talking therapy that will meet the needs of people with common mental health problems and psychosis. 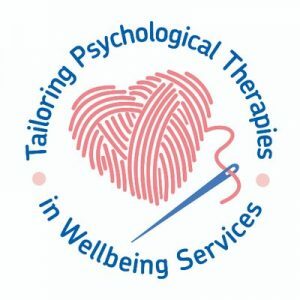 This talking therapy will be offered to service-users in IAPT settings, making it more accessible and less stigmatising than specialist mental health services. Overall, this work should help IAPT service-users. It will also support IAPT services to achieve their challenging performance targets, and provide a blueprint for testing other therapies beyond the current CBT offered. How are McPin and people affected by mental health problems involved? The McPin Foundation will be facilitating the service user involvement for this study in the form of a Lived Experience Advisory Panel (LEAP) of twelve service users. The LEAP will provide advice and assistance to the wider study team as the research progresses. The project started on 1st February 2018 and is expected to run for 5 years until 2023. The TYPEXX study website is currently under development, please check back on this page for future updates. Alternatively, please contact Tillie Cryer or Thomas Kabir by email: tilliecryer@mcpin.org | thomaskabir@mcpin.org or phone: 0207 922 7874 for further information.